Wednesday 8.45 am. Children and parents, many hand in hand, make their way from every direction to enter the wide open doors of the South Melbourne Primary School which opened in January this year. The bell rings, and parents gather outside for a while, before dispersing. The school precinct quietens after the flurry. Across the road from the school, a carpet of grass is being rolled out in feverish preparation for the opening of Kirrip Park this weekend. Kirrip is a Boon Wurrung word meaning friend or mate – easily the most popular choice in the City of Port Phillip’s consultation on names for the Park. The Park is quite plain – and that is meant as praise. Playgrounds or fitness stations could be added as community grows around the Park. It is generously treed. The paths seem to anticipate how people will walk through the Park since they are already being used. Densely planted raingardens are distributed through the lower lying parts of the Park since this part of Ferrars St is well known for flooding. Mounds add some mild elevation and there are places to sit. Looking across Kirrip Park to the South Melbourne Primary School. The need for a new primary school was front and centre of the state election campaign in 2014. By November of that year, the site for a school was identified. This is what it looked like. 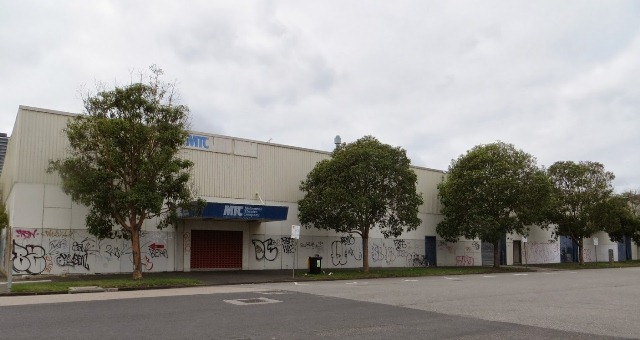 The site for Kirrip Park followed in 2015 when the State Government and the City of Port Phillip bought the development site from Pitzy Folk, the hospitality entrepreneur behind MAP Coffee and CAPI, for $19m. In less than four years a vertical school incorporating the Barring Djinang Kindergarten and community facilities has been built and opened. A refurbished tram stop drops students right at the school. Ferrars Street has been opened at City Road with bicycle lanes and pedestrian and cycle friendly traffic lights. Further work to narrow and landscape Douglas St will be done this year. Many elements combine in this catalyst project: school, kindergarten, tram stop, re-configured Ferrars x City Road intersection and park. It signals what is intended for the other precincts of Fishermans Bend. It shows what can be done when state and local government, and government agencies work together to translate words in a planning document into a place for a new community. 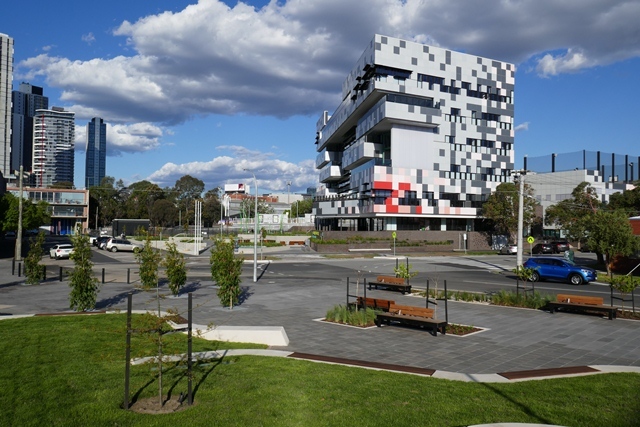 Local member Martin Foley and the City of Port Phillip under the leadership of the Mayor Councillor Bernadene Voss have driven this project with fierce determination and energy. Kirrip Park was officially opened on Saturday 20th October. Light rain meant that the speeches were made under the cover of the school building.